The client, located at Bhiwadi, an industrial hub in Rajasthan, is a manufacturer of float glasses. Our client decided to take a stand against pollution, global warming, and ozone layer depletion by embracing environmental conservation with eco-friendly solutions. SaveGeo was ecstatic and zealous about being in service for such a well-intentioned endeavor towards the betterment of our environment. By taking complete responsibility of their requirements, we provided them hassle-free solar PV installation and maintenance services. Located at Chandigarh, the Semi-Conductor Laboratory is the research institute of the Department of Space, Government of India. 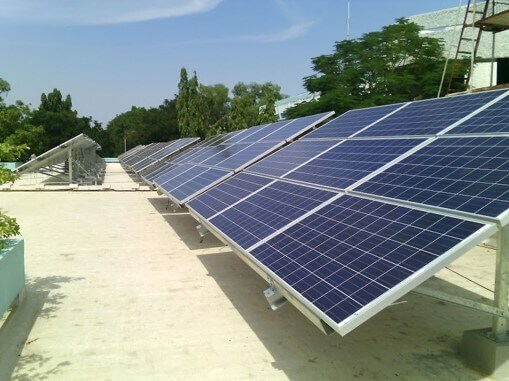 As a prestigious organization conducting research and development in the field of semiconductor technology, microelectromechanical systems and process technologies relating to semiconductor processing, our client needed solar installations at separate locations within their campus. We followed CapEx engagement model. 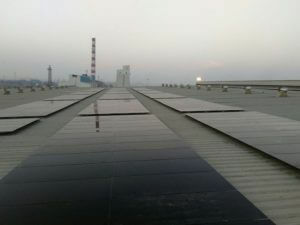 Taking assistance from their electrical department, we installed 4500 Photon solar modules, each panel generating 240 watts of power. Despite timeconsuming compliances with every step requiring approval, we completed the project on time.